The first time I met Victor Abascal, Winemaker/Owner of Vines on the Marycrest (VOTM) was at the Wine Classic, an event that ran a couple of decades as a fundraiser and held here at Cal Arts. I can still see Victor at his table pouring his wines, and had routinely seen him pouring his wine at other charity events, but I had never visited his Paso winery. And, as I stated in an earlier article, this trip was all about visiting wineries I had never visited before. And seeing Victor and his lovely wife Jennifer, was more than called for. We learned that they had the property for 9.5 years, it was an almond orchard previously. When I noted the number of wines on the tasting list Jenny said, “We can’t pour less as we make too many.” One third of their sales are snatched up by wine club members. The modern tasting room was the very first tasting room in Paso I’ve been in that is bathed in afternoon sun, very welcome as the days start at 28 degrees when we visited in early November! The place was jumping as Vic played some of his favorite music, while the bar was crowded with happy tasters that made room for two more. 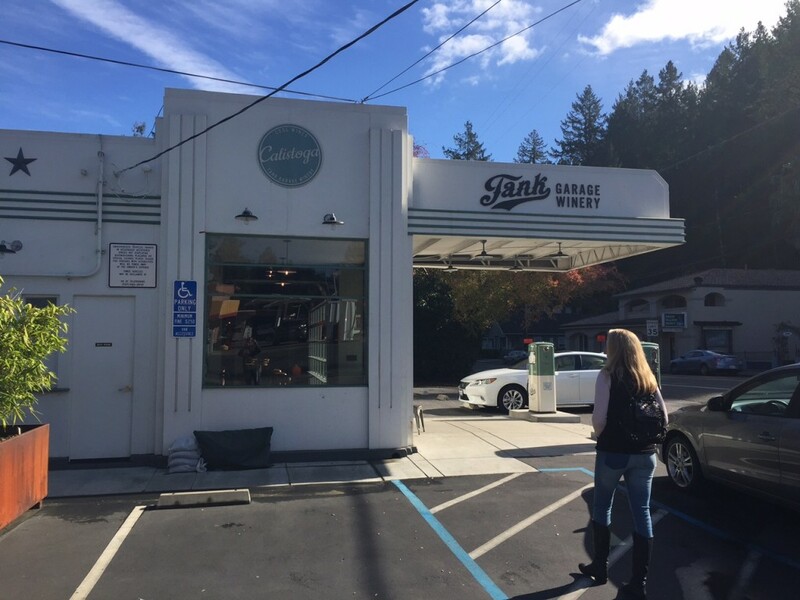 For $10 – waived with purchase – we settled in to sample nine wines. Tasting notes were supplied so, as is my habit, I tend to circle what I found as well as making some additions, so my tasting notes are a collective “blend” so to speak. Lemon-lime, green apple, grass and gravel on the nose with peach and other welcoming fresh fruits on the mouth. Fruit cocktail, stone fruit, lime zest, passion fruit, crushed lemon grass on the nose with pink grapefruit, strawberry-rhubarb pie and lime on the palate. With welcome aromas of berries followed by flavors of bright fruit including cherry, spice and mint. On the nose we got blueberry, black plum, dark earth on the nose and palate as well as a bit more brightness than expected. Agreed with the tasting notes in finding a raspberry liqueur note on the aroma, as well as strawberry. Tasting the wine we also found that same liqueur as well as a bit of vanilla. Another favorite: With a big bold nose with lots of black fruit, that carried through to the flavor along with spice and good fruit. And another fave: Yep, I agreed with the tasting notes that mentioned cassis, smoke, candied pecan and flavors of dark berries and cola. Nothing to add except that it was grand. And yet another one we really enjoyed: I noted white pepper, a creamy quality and balance followed by chocolate covered cherry, Chambord liqueur and a bit of pine needles. For many of us on the Central Coast, the Dusi name is synonymous with the wine industry! In 1924, Sylvester and Caterina Dusi were one of the first to plant Zinfandel grapes in Paso Robles. They planted their home property on Ramada Drive with 40 acres of Zinfandel. In 1945, with the help of their three sons Guido, Dante and Benito; Sylvester planted 100 acres across the highway on Theatre Drive, known as Dante Dusi Vineyard. Both vineyards remain family owned and family farmed! In 2006, Janell, Dante’s granddaughter, took the family’s farming a step further. She bought five tons of Zinfandel from her dad, and with a leap of faith, she became a winemaker. Janell has been making award-winning wines, building a respectable reputation with her J Dusi brand. Five years ago, she opened the J Dusi Tasting Room located at 1401 Hwy 46 West in Paso Robles. Janell is excited to launch her new label, Paper Street, and to share it’s unique story! Janell’s dad, Mike, as a young man, dreamed of owning a particular piece of Kiler Canyon’s mountainous land. Forty years later, in 2012, the opportunity came, and the family purchased a 321 acre parcel of land in the Willow Creek AVA (American Viticultural Area). The terrain is steep, hilly, rocky, full of limestone, dead almond trees, where wild beasts roam. Mike, with sons Michael and Matt, cleared land, built roads, and three generations went to work to plant 106 acres of grapes on the steep terrain. The entire family worked at 2200 feet, and as with most Dusi endeavors, it was a true family production. The varietals planted include Zinfandel, Mourvedre, Grenache, Syrah, Grenache Blanc, Tempranillo, Carignane, Cabernet Sauvignon and Clairette and Petite Sirah. Why name this mountain Paper Street? When Mike, Janell’s dad, went to the county to apply for an address, he was told that the property was considered a paper street property, existing only on a map, with no physical address! Ironically, Matt, Janell’s brother, had said he and his wife Ali, would like to name the mountain Paper Street, after their favorite movie Fight Club, and that was BEFORE we had been informed that our new property was recorded as a paper street property. When the stars line up, you listen; The name of the mountain, also appears on Janell newly released wine label, Paper Street. 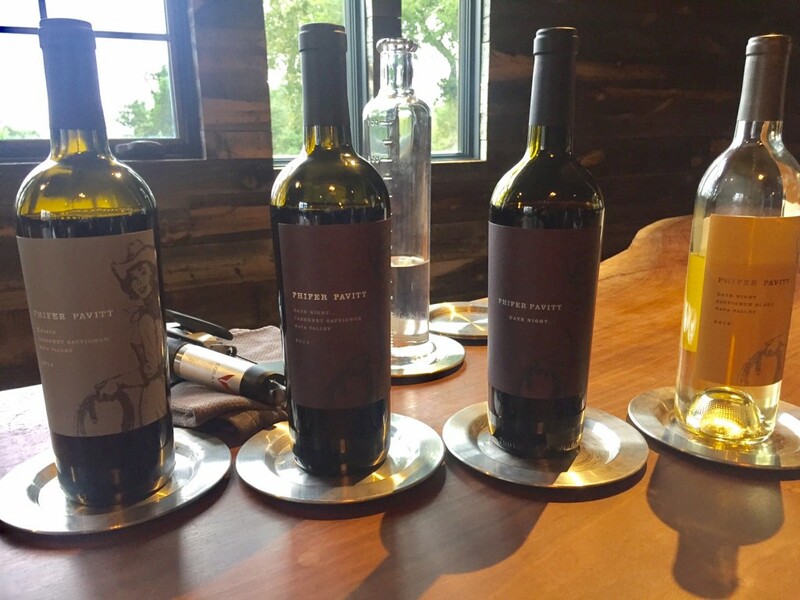 On September 1, Janell officially released 3 new wines under The Paper Street Label, available in 750 mL bottles: Zinfandel, Mouvedre and a GSM. The delightful twist with the dual meaning of Paper Street, continues with Janell’s wines. 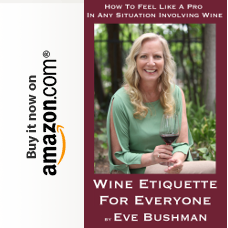 Her small boutique winery, privately owned, allows her the luxury of naming her wines to correspond with her personal life. Her Zinfandel is 100% Zin and for Janell, it is important to put that single varietal front and center. It is what the Dusi family is most known for, and they have a history to be proud of. Her Mouvedre, she named Cornflower Blue. Janell’s favorite color is blue. Dante painted everything blue. Janell played in the cornfields that her father farmed, and can tell you about how beautiful 20 acres of sunflowers looked, that her father grew for oil. Fight Club fans might remember that the color of the tie worn on Tuesdays was always Cornflower Blue. Her GSM is called The Narrator. It is a blend of Grenache, Syrah and Mouvedre. Janell’s dad, is the Narrator. The stories of mountain lions, rattle snakes, and accidents over cliffs are real. Mike leads by example, and he has beaten all odds in developing the rugged terrain of Paper Street. It’s a new era for the Dusi Family, and these wines are a treat for all wine lovers. Please accept our invitation to come taste the J Dusi Wines, as well as the new Paper Street lineup at the tasting room on Highway 46 West, Monday through Friday, 11 am to 5 pm. All wines are available for purchase at the tasting room, and also online, at JDusiwines.com. Turley Wine Cellars has always had a very significant presence in our personal wine cellar and I don’t see that ever changing. 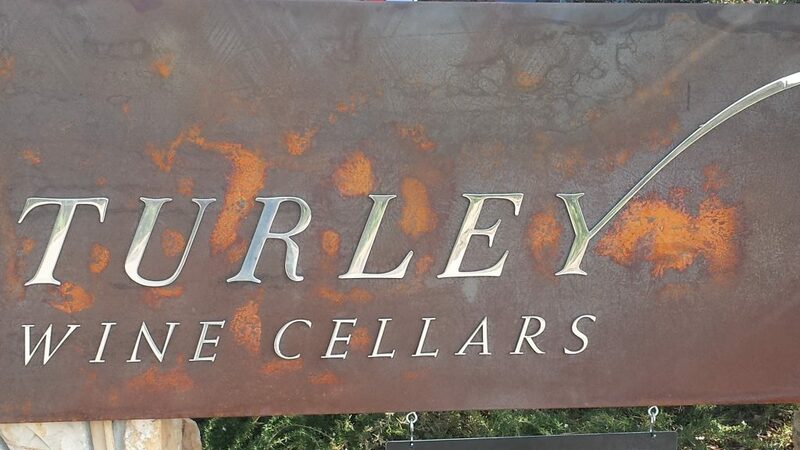 While our wine interests have broadened, Turley continues to be on a very short list of wineries we absolutely can’t do without. 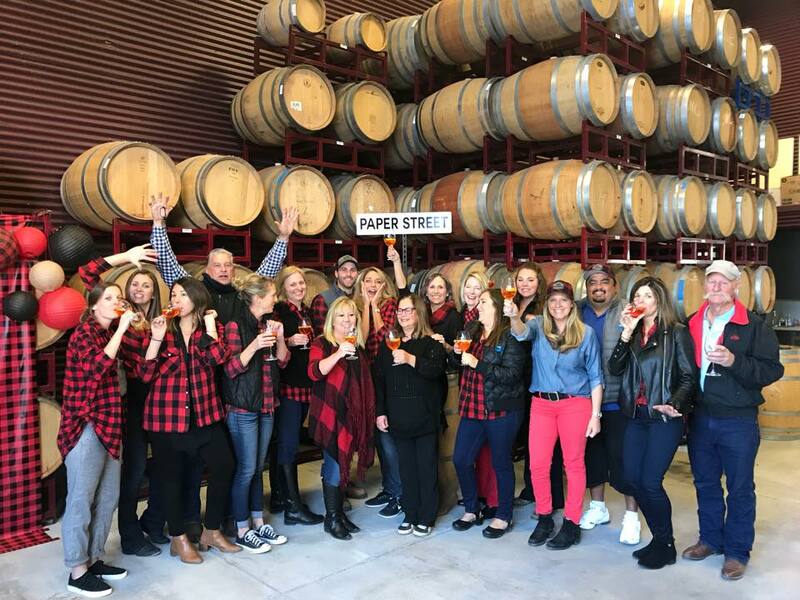 But when we bumped into Turley Tasting Room Manager Malani Anderson a few months ago while attending a seminar at the Hospice du Rhone event, we realized that we had not actually visited Turley’s Paso Robles’ winery and tasting room in quite some time. Obviously, we needed to rectify this. 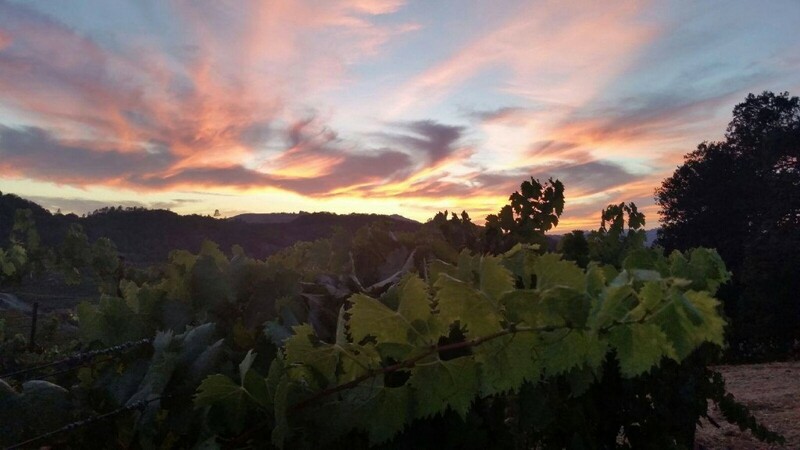 Our connection to Turley Wine Cellars started in 2000, when they acquired the Pesenti winery and vineyard in Templeton. Of course we knew of Turley before that, having latched onto Zinfandel as a favorite varietal several years earlier. We were also very familiar with Pesenti and had visited them many times, usually to start a day of tasting [they opened at 9 AM!]. 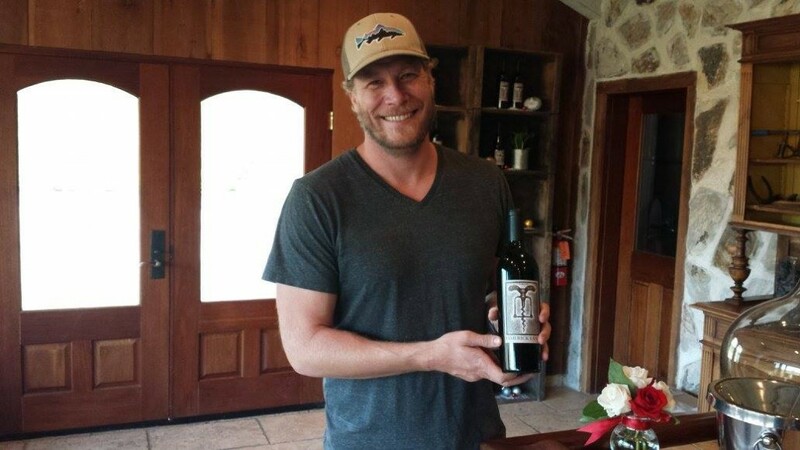 Larry Turley had founded Turley Wine Cellars in 1993 and quickly became what is known as a “cult” winery specializing in Zinfandel and Petite Syrah [yes, that’s how Larry spells it]. Acquiring Pesenti in 2000 not only gave Larry access to a great historic vineyard but, in my opinion, helped to bring additional legitimacy to an area that was starting to explode. Of course, changes were made to the tasting room to give visitors a great Turley experience. We’ve visited many times over the year for pick-up parties, seminars and, of course, just to taste the great Turley wines. But, as I said, we hadn’t stopped by in a while so we were extremely pleased to be able to correct this by visiting with Paso Robles tasting room assistant manager and educator Steve O’Brien. Steve took us on a quick visit to the Pesenti Vineyard before the day got too hot. He explained that the rains of 2016 and 2017 really provided much needed benefit to the vines, which had been suffering a great deal from the drought; these vines are traditionally dry-farmed. 2018 has seemed to have returned to the “normal” drier conditions. On the plus side, Steve said that the timing of harvest seemed like it was going to be a little later than the past few years had been, also being a little more like normal conditions. When we first signed up for Turley’s mailing list in 2000, when they acquired this amazing property, we were able to pretty much select everything Turley had to offer. At that time, I’m guessing that Turley made, perhaps, twenty wines, mostly Zinfandel. Now, they make almost 50 different wines, mostly vineyard designated Zinfandel and Petite Syrahs. Although it’s now become impossible to take everything Turley offers, the work of picking and choosing is a lot of fun. 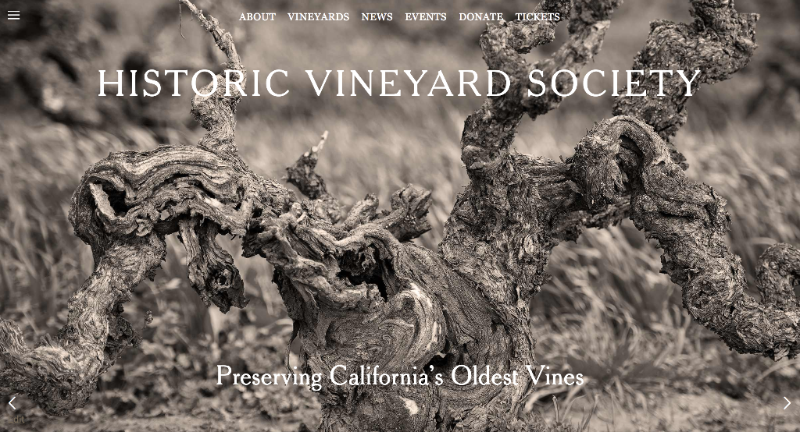 We’ve always admired Larry Turley and director of winemaking Tegan Passalacqua [and everyone else at Turley for that matter] for the focus on preserving California’s heritage vineyards. 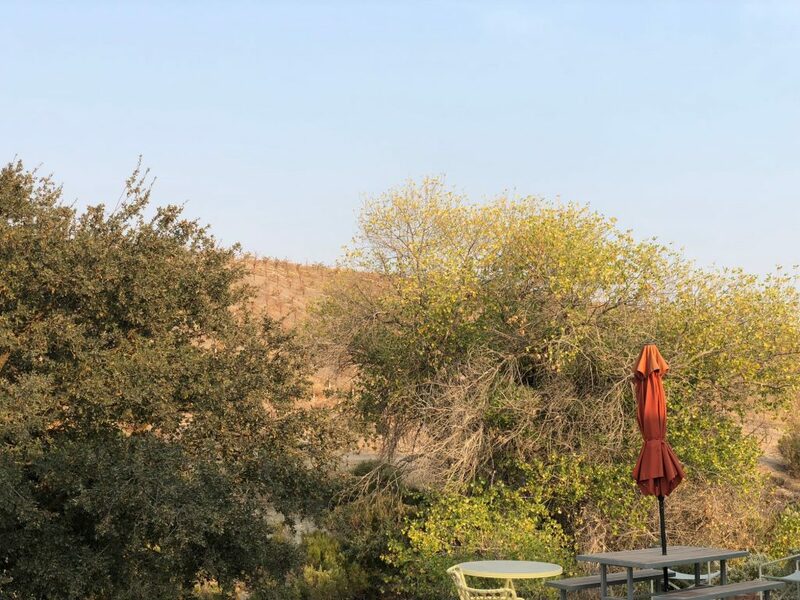 We’ve also held a special place in our heart for the ones in Paso Robles, so we were excited when Turley added yet another Paso vineyard to the portfolio – the Amadeo Martinelli Vineyard. The bottling is called “Amadeo’s” in the Turley lineup [they can’t really call it Martinelli, can they?] and is another great example of what Paso’s old vineyards can do. The vineyard, on the west side of Templeton, was planted in the 1920s and the Amadeo Martinelli winery operated up until the 1960s. Finishing our visit in the Tasting Room, we started with the 2016 White Coat blend of Roussanne, Grenache Blanc and Vermentino. Always one of our go-to whites [when available] it is named after Larry Turley’s days as an ER physician. We followed that with a real treat, the 2017 Cinsault from the Bechthold Vineyard in Lodi. This vineyard was planted in 1886 [wow] and is the oldest Cinsault vineyard in the US. 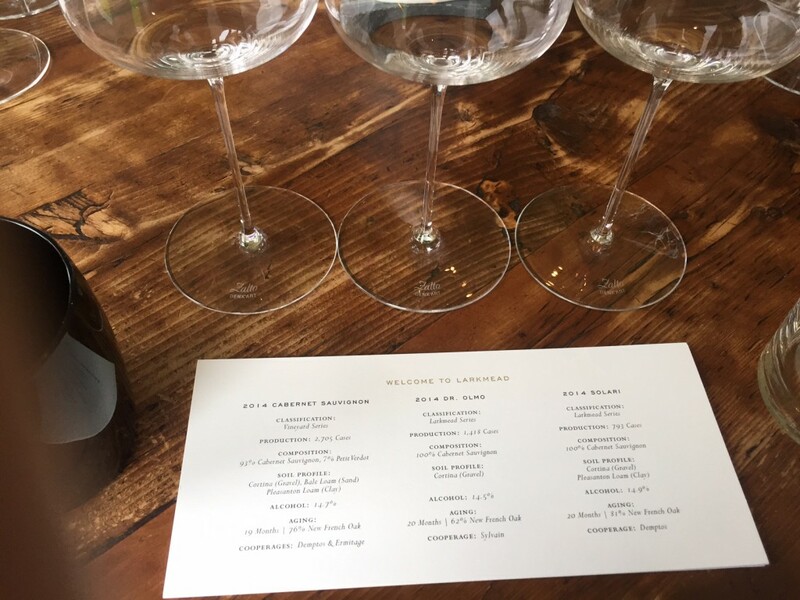 Then we had a side-by-side tasting of two 2016 Zinfandels – Duarte and Rattlesnake Ridge. The Duarte Zinfandel is named after grape grower Joe Duarte who introduced Larry to the vineyard of Contra Costa County; this is a blend from three of those which were planted between 1890 and 1930. The sandy soils help to create a very soft style of Zin. The Rattlesnake Ridge on the other hand is Howell Mountain at its finest – big and bold. Trying these side by side really showed the differences imparted by the growing regions. We couldn’t leave without trying the 2016 Amadeo’s Zinfandel. This is really another great addition to Turley’s portfolio. And we couldn’t leave without buying because it doesn’t make it to the mailing list! Ditto for the 2016 Tecolote blend of Grenache and Carignane from the Pesenti Vineyard. These two varietals seems to go together naturally and the old vines add to the complexity. We’ve enjoyed being part of the Turley family for almost 20 years. Thank you to Malani for setting this up and to Steve for being such a great host. And don’t forget to visit your favorite wineries – there just might be something great that didn’t make it onto the mailing list! 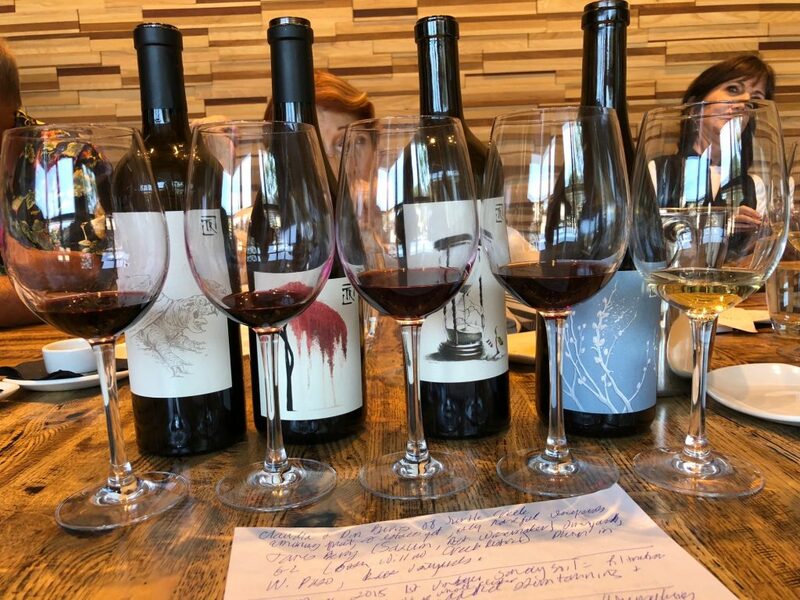 (Beirut, Lebanon) – Lebanese Wine Day announces its upcoming winemaker tour in San Francisco and Los Angeles next month, bringing 30 different producers to California to showcase their wines to members of the wine trade. Conceived in one of the oldest sites in the world for wine production, wines from Lebanon have been sought-after for centuries by kings and commoners alike. And the country’s rich heritage of indigenous grapes has attracted renewed attention, particularly in recent years. 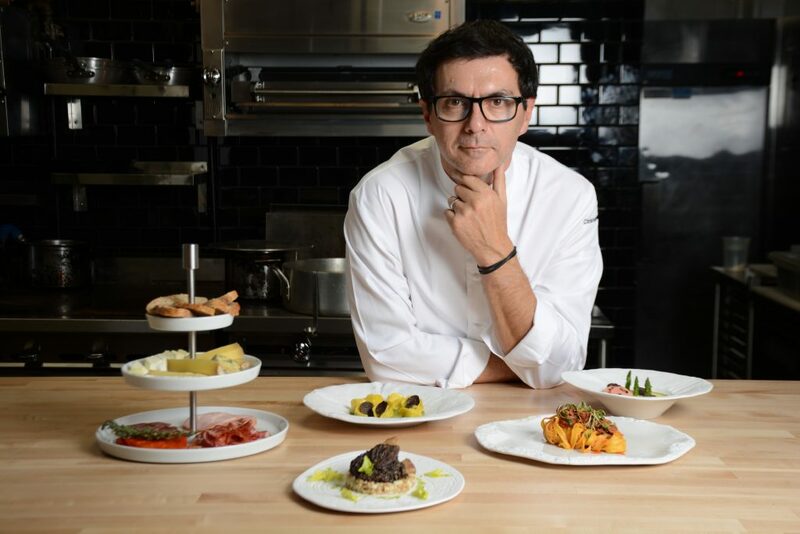 The first Lebanese Wine Day will take place in San Francisco on the afternoon of November 16 at the historic Merchants Exchange Club, a recently renovated event space located in the Financial District. 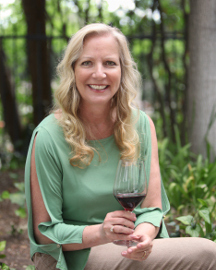 The day will begin with a master class from 12:00-1:30 p.m. for registered guests, presented by Jean Reilly, Master of Wine and renowned wine speaker. 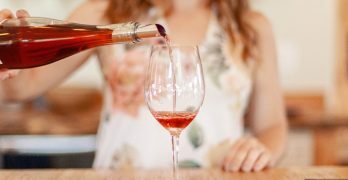 A walk-around wine tasting will be running concurrently from 12 – 5 p.m., where guests will have the opportunity to taste the wines and meet face to face with winemakers and representatives from the Lebanese government. A second master class, also for registered guests, will be held from 2:30 – 4:00 p.m. Following Lebanese Wine Day in San Francisco, the producers will head to Los Angeles, where they will offer their wines for walk around tasting on Monday, November 20 at the Beverly Hilton Hotel. The winemakers and producers look forward to acquainting the American market with the wines of Lebanon. Heavily influenced by the French, the most widely planted varietals include Cinsault, Carignan, Cabernet Sauvignon, Merlot and Mourvedre and Syrah. In recent years wines from this Mediterranean country have garnered numerous accolades and recognition from the press as being from an “emerging area.” The unusual climatic conditions of the Bekaa – hot and arid, but with cool nights and the suitable climate of the other regions – result in long-lasting wines that include both aromatic whites and strong-bodied reds. 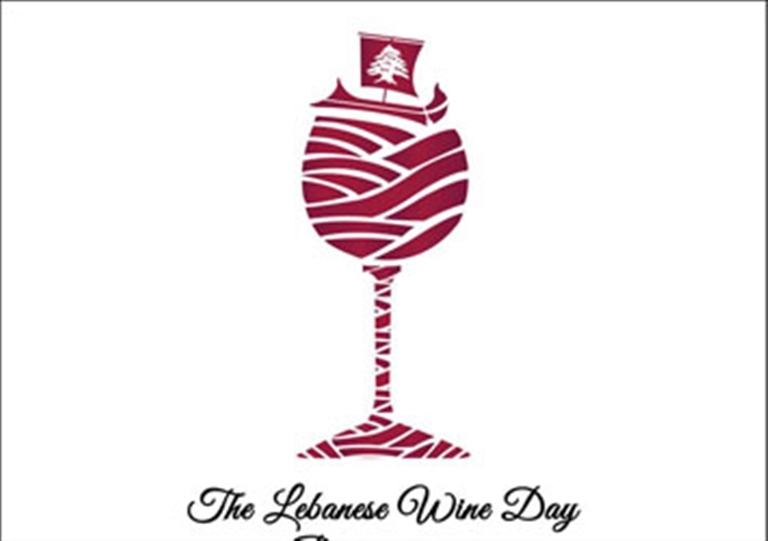 Sponsored by the Lebanese Ministry of Agriculture in partnership with the American Lebanese Chamber of Commerce, Lebanese Wine Day is open to qualified wine trade (retail, restaurant, wholesale) and media only.